"You and Me and Love" was written as a first dance, and it is suitable for both Weddings and Anniversaries. Enjoy it at your reception as a first dance or as prelude music during the ceremony. Available in 4 variations: Male Vocal, Female Vocal, Instrumental or in Spanish with Male Vocal - Tu, El Amor, Y Yo. 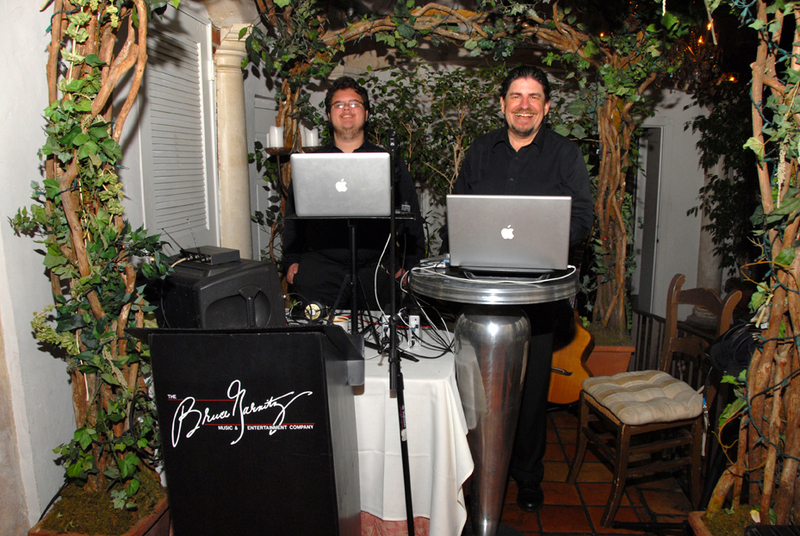 The Bruce Garnitz Band sets the mood of your Celebration with classic swing music, blues and jazz, salsa, oldies, motown, and contemporary favorites. Featuring vocals evocative of many of the great singers and bands ranging from Ella Fitzgerald and Frank Sinatra to Aretha Franklin and Marvin Gaye, The Beatles, Journey, Bon Jovi, Earth Wind & Fire and The Blackeyed Peas, Gloria Estafan, Marc Anthony, Celia Cruz and Santana, Alicia Keyes, Beyonce, Rihanna, and Justin Timberlake. The band takes great pride in their ability to reproduce the music of every era authentically and with incredible energy.